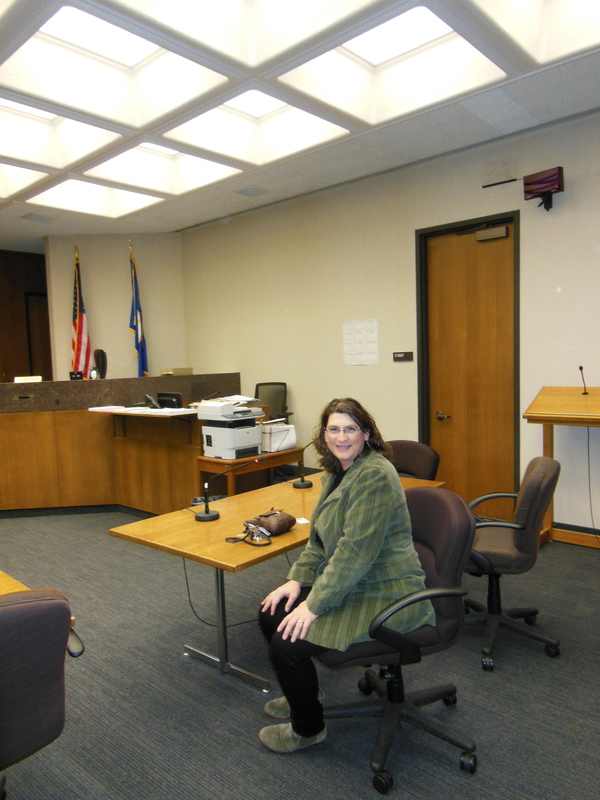 Tomboy Tam awaits the judge who will approve her petition for name change. I started thinking about returning to my original name as a new sense of self-identity emerged in the years during and following my second divorce, six years ago. My journey of self-discovery included exploring who I am aside from being a wife, mother, daughter, sister and employee. I assumed some of those roles without much conscious examination of how to perform the roles in the context of me, the individual. For most of my life, I defined “me” by who I was to other people and what they expected of me. Today, I select and create my relationships and roles based on how well they complement who I am today and how they will grow with me as I continue to evolve. So the short answer is – I want my name to reflect the independently strong, self-centered individual I am today. (Why has the term “self-centered” come to have a negative connotation?!) From a self-centered place, I can receive and give love, friendship and value with integrity and joy. Someone recently used the term “full circle” to describe my return to my maiden name. However, just as Phileas Fogg returned to London a changed man after the high adventure and life experience of traveling Around the World in Eighty Days, I am not the same person with the same dreams, perceptions and expectations as I was 36 years ago. Thank goodness – because I don’t want to star in my own rendition of the film Groundhog Day! Changing my name is a symbolic and tangible acknowledgement of who I am today – the result of my own thoughts, intentions and purpose, and all the people and experiences that have helped me evolve to this point. I am grateful for each and every one of them, as each is a thread in the beautiful fabric of my being: soft and strong; adventurous and thoughtful; resilient and vulnerable; resourceful and humble; enterprising and inviting; generously giving and abundantly receiving. What movie or book title best describes your journey to a positively self-centered way of being? Have you acknowledged life journey milestones with symbolic or tangible ceremonies or acts?